The Orbit Tour is a great choice for paddlers looking for comfort and mobility in a low-profile PFD. Ideal for stand up paddling and performance recreational paddling there is no bulky foam padding on the shoulders, while the hardware neatly fits under the neoprene. 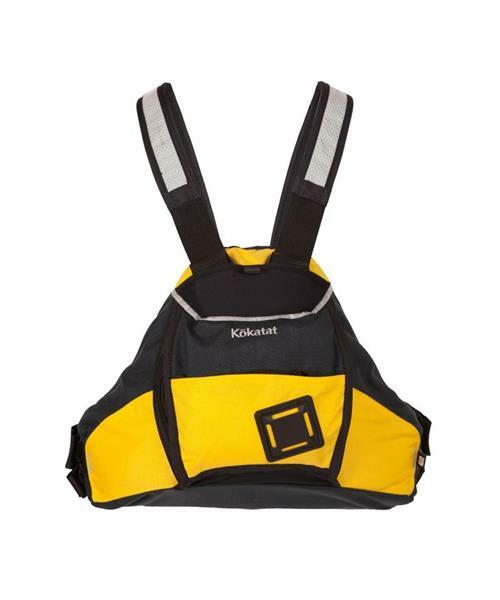 3M reflective highlights, a spacious duplex front pocket, reflective highlights and dual side adjustments round out this compact PFD. Made with GAIA® PVC-free foam. * Product Care: Rinse after using, hang to dry.